Now a days CompTIA Network+ Certification is essential for every Networking technician. If you are searching for the best CompTIA Network+ course, this is the best site to select the course. From these courses you will learn about different networking technologies and tools. You will know the important concepts of networking, Infrastructure, operations of network. You will understand about physical security devices, wired and wireless connections with their performance. After this Certification you will become a professional Networking technician. 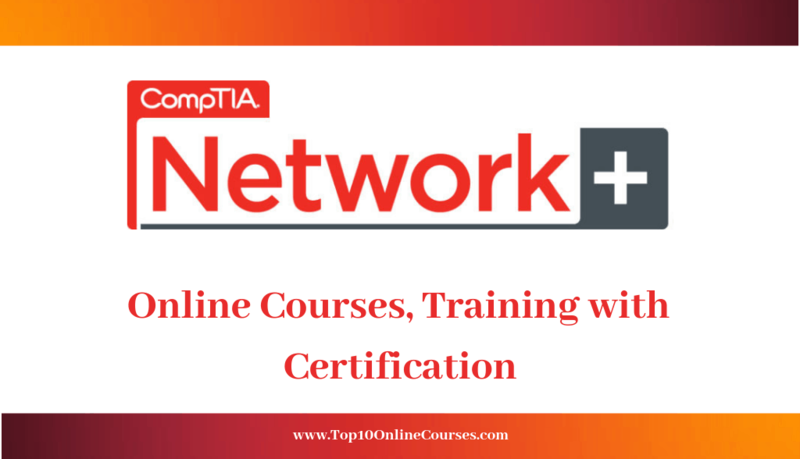 Now a days there are many CompTIA network+ online courses, from those our experts panel selected a few best online courses which are listed below. 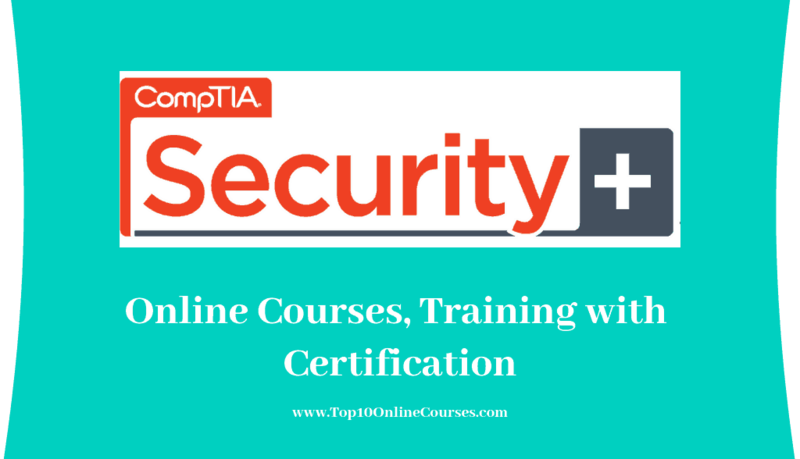 The CompTIA Network+ Certification online training course was created by Mike Meyer. He is the president of Total Seminars. Mike Meyer and his Total Seminar team of instructors will improve the skills of student about network+ by this course. By learning this course your career opportunities will increase. By this course you will become a IT security technician. They cover the concepts like cabling topologies, network protocols, routing, switching, basics of ethernet, network operations, wired and wireless networking and so on. They also discuss about advanced networking devices and tools. And they will discuss all the concepts which are helpful to you to pass CompTIA network+ exam. By the completion of certification will be provided and this course will also includes 23 hours on-demand videos and full lifetime access. They discuss about different network models like ports and packets, MAC address, TCP/IP protocols, troubleshoot networks etc. you will understand that how to connect multiple number of computers. You will also learn network topologies, twisted pair and coaxial cable networks. You will understand about the basics of ethernet such as ethernet frame and its components. You will also learn how the ethernet frames are used among different devices. And you will understand the basics of TCP/IP protocols, static and dynamic IP addresses, mobile network and risk management. They will teach about TCP/IP applications like web servers, various email protocols, Email servers. You will also know about advanced networking devices like different types of proxy servers and their purposes. They discussed about how to duplicate the traffic from one router port to another router port. You will also learn how to protect your network. CompTIA Network+ online course with six practice tests was created by Jason Dion and Dion Training Solutions. Jason Dion is a professor in Maryland University of College, with networking experience as network engineer, deputy director of a network operation center. In this course they conduct six practice tests that will cover all the concepts of CompTIA Network+ Certification. Student will improve their knowledge by this practice tests. From this course student will become a professional IT security technician. For real exam they will cover all the concepts of CompTIA network+ Certification. From all this practice tests student will be able to write a real network+ exam. By the end of the course certificate is provided and this course also includes full lifetime access. Student will every topic from this course. They cover the concepts of five domains such as network tools and troubleshooting, network infrastructures, operations of networks and security of networks. In this course they will conduct practice exams with total 405 questions. The questions are from all the domains of networking, each exam has performance based questions. They cover the topics like switches, routers, wired and wireless topologies, cloud concepts, dynamic routing protocols and server concepts. You will also know about different interconnection layers such as session layer, networking layer, application layer etc. You will understand about ports, protocols and the process how they are used in the network. They also explain about the transceivers, media, distribution of cable. The CompTIA Network+ Certification online training course is created by Jason Dion and Dion Training Solutions. Jason Dion is professor in Maryland University College with networking experience. By this student can perform networking configurations and they will teach about subnetting networks. You will become a good networking technician in business environments. You will understand about computer networks, components and its functions. You will learn about network securities, network operations, architectures and troubleshooting in wired and wireless networks. From this course student will improve the confidence level. By the end of the course certification will be provided. And this course includes 11 hours-on demand video, 8 downloadable resources, one practice test and full lifetime access. They will discuss about rising technologies cloud, mobile and virtualization technologies. They will cover every concept for Network+ exam such as network resources, network components, LAN, MAN, PAN, TCP/IP protocol and so on. You will learn about network topologies like wired and wireless network topologies. You will understand about Internet Of Things (IOT) concepts and open system interconnection layers like application layer, transport layer, data link layer, session layer etc. You will understand about the ports, protocols and you will know how to transfer the data. You will know about media, transceivers ethernet fundamentals like spanning tree protocol, virtual local area network, cloud computing and specialised network devices. They will discuss about wireless networks such as wireless antennas, frequencies, WLAN services. And they also teach about IP addressing, routing protocols, wide area network technologies and simple network management protocol. CompTIA Network+ Certification online course was created by Networkel Inc. Instructors in Networkel Inc are well professional trainers. From this course student will develop skills on network production. By learning this course student will know about computer networks, components and its functions. After this course student will be able to pass the real CompTIA Network+ exam. Instructors will cover every topic what the students are needed. Student will learn about network troubleshooter, tools, infrastructure, network security, network operations and so on. By the end of the course certification will be provided. 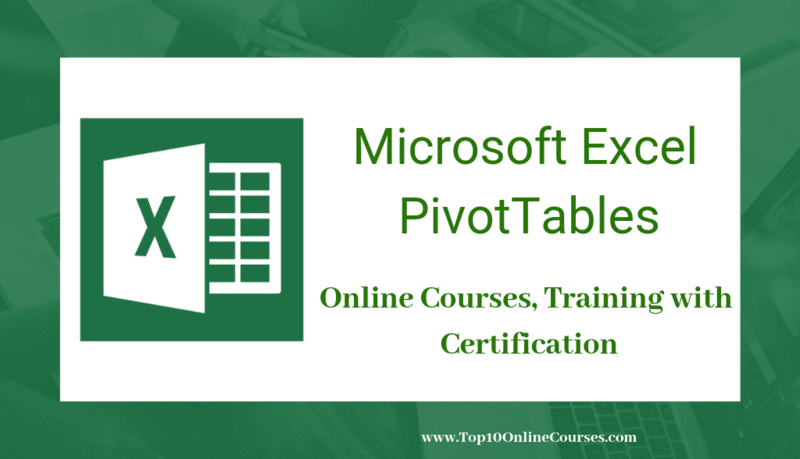 This course also includes 9 hours-on demand video and full lifetime access. They explain the networking concepts like types of networks, wired and wireless topologies, local area network switches, routers and process of routing, ports, protocols and so on. You will also understand the concepts like cellular networks, cloud. You will know about network troubleshooter and different tools such as software troubleshooter and hardware troubleshooter. And you will learn the performance of wired and wireless connectivities. You will learn about types of fiber optic cable connectors. You will understand about network security concepts such as physical security devices, multifactor authentication and wireless security. They will explain the networking operations like scanning, patching and monitoring processes, network event managements, SLA, MTTR and also network availability concepts. You will also learn about advanced networking devices, networking components, termination points and so on. They will explain about different types of wide area networks (WAN) services and you will also know how to terminate WAN services. The CompTIA Network+ (N10-007) Certification online course was created by Mike Meyer. He is the co-founder and president of Total Seminars. Mike Meyer and his team created many courses videos in Udemy. In this course total three practice tests was conducted, from these tests student will improve their skills and knowledge. They discussed about networking architecture and designs, advanced networking devices, risk management. You will also learn advanced tools and technologies of network+ Certification. You will understand different concepts such as TCP/IP protocols and ports and they will teach how to protect the network. By the end of course certification will be provided and this course also includes full lifetime access. In this course they covered every concept of networking such as network troubleshoot and tools, network security, network operations and infrastructures. In this practice tests there are 270 questions which cover every concept of compTIA network+. They also explained about networking concepts such as ports, protocols, wired and wireless topologies, switches, routers and so on. And they also discussed about port mirroring, cellular networks, cloud computing etc. You will also learn about transceivers, advanced networking devices and about virtual networking components. You also will understand the concepts like network event management and also scanning, monitoring, patching processes. They will discuss about network security concepts like physical security devices, wired and wireless security and also networking attacks. You will also understand the topics like hardware and software troubleshooting tools, wired and wireless connections and their performance. CompTIA Network+ Certification will give you more weightage while entering in to job world. Here CompTIA Network+ Certification Courses designed in easiest way and you can learn concepts from the scratch. If you are interested to do this Network+ Certification course then select the best course from the above listed courses. CompTIA Network+ is the most popular Certification. You will understand different concepts of networking like mobile networking, IPv6, advanced networking tools and devices etc. From these courses you will come to know how to protect the network from hackers. You will also learn about advanced concepts like internet of things (IoT), and other real time applications. If you like this article, then share it with your friends, colleagues and also share in facebook, linkedIn, twitter.